The new line of Memphis Wood Fire Grills have arrived! Featuring a brand new Intelligent Temperature Control with Wi-Fi and a free iOS App that lets you monitor and control your grill from anywhere you go. 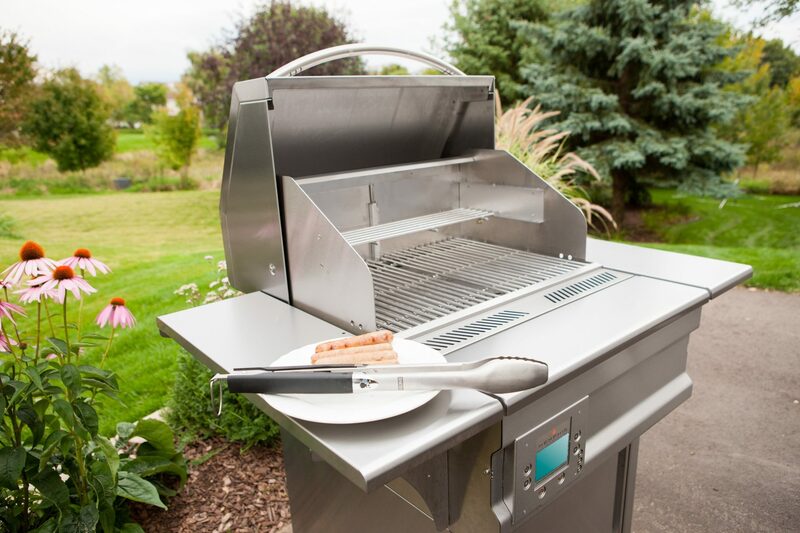 The Elite – Big, bold, and made in the USA, this wood pellet grill is the ultimate addition to any outdoor kitchen. With a whopping 1252 sq. inches of cooking surface, a large 24 lb. pellet hopper, dual metal convection fans, and precise temperature control capable of anything from 180° to 700°, the Memphis Elite is truly a revolutionary cooking appliance. Also available as a built-in model. The Pro Plus – Double-walled construction and made with the highest quality stainless steel, the Memphis Pro Wood Fire pellet grill combines the very best parts of a kitchen oven, a real wood fire, a BBQ gas grill, and a smoker. Also available in a Built-in model. The Advantage – A world-class 3-in-1 outdoor cooking center that features a circulating metal convection fan, a 200° to 600° temperature range, and a 12 lb. pellet hopper. By utilizing 100% natural and renewable wood pellets instead of the traditional propane or charcoal, Memphis Wood Fire barbecue grills offer unparalleled flavor and cooking power with the touch of a button.